On Thursday, Tech Bureau Corp said that one of its servers, Zaif, was hacked for two hours last week. And it was during this time the unlawful stealing was done from the ‘hot wallet’ where all the virtual money from Bitcoin and other cryptocurrencies are kept. Usually, the companies keep the majority of their assets in the cold walletrix which is offline and therefore the hackers can not reach it. Currently, the exchange has been made offline and will remain offline until the damage is confirmed. The server is under repair to get it back online as soon as possible, said Tech Bureau. Of the ¥6.7bn that was stolen from Zaif, ¥4.5bn was customer money which puts the company into a severe position. This thievery shows that online wallets are still vulnerable to risks such as hacking and stealing. These numbers are yet to be confirmed and the values will change as soon as the final count is confirmed by the company. Tech Bureau apologized to the customers saying, “We humbly apologise for betraying the trust of all our customers who have entrusted us with their precious assets.. ”. Earlier this year a similar incident happened with another Japanese exchange Coincheck, where $500 million was stolen from the exchange. Coincheck has been in operation since 2012. Japan became the first country to regulate virtual currency exchanges. Every exchange had to be approved by Japan’s Financial Services Agency and maintain a continuous reporting process. As per last year’s stats, 160 entities had requested to enter the cryptocurrency business but FSA hasn’t approved any showest since December 2017. Japan had legalised cryptocurrency in 2017 and till day crypto is a major source of payment in Japan but these heists shows that the problem still persists. Other countries have also been taking measures towards the proper operation of crypto. Repetition of such hacks comes as a blow to the Japanese Financial Services Agency. They have been quite active in making cryptocurrency possible but have failed to ensure the security of the parties involved. It is said that these hacks are made just to attack FSA’s new regulations. To add to this embarrassment, it was noted that Zaif was one of the seven exchanges that was sanctioned earlier this year by the Japanese FSA. But FSA has not made any comments on this latest hacking. However, FSA had said post Coincheck theft that they found poor management in many exchanges and lack of seriousness towards the security of customers’ money. In an interview last month, Toshihide Endo, commissioner of FSA, told Reuters that they are trying to come up with security measures for clients and company assets. What was stolen from this digital theft? The Tech Bureau said it had accepted an offer from a Tokyo-based investment company, Fisco. The investment is worth $45 million for the majority stake in the Tech Bureau and this will be used to repay back the customers who lost their money in this theft. Bitcoin and Monacoin were stolen among other cryptocurrencies. Of the total amount that was stolen only $20 million belonged to the company. The rest of the amount was the customers’ money. Zaif also reported a glitch in its servers earlier this year, which said to have allowed people to buy cryptocurrencies at the rate of zero Yen. Now, the Tech Bureau is focusing on the process of returning the funds to the rightful customers. In the case of Coincheck, they used their own holdings of cryptocurrencies to payback the customers and later sold itself to the brokerage Monex. The Tech Bureau seems to be following the same path. They have also signed a basic contract to provide the right technology that will help strengthen the security and privacy of the company’s assets and its customers. Cryptocurrency has seen some major setbacks this year and every needle points to the fact that no matter how easy and fast growing virtual currency is, security is still a major concern. Unless this issue of security is not taken care of, the future of these currencies looks nothing less but trouble. “Facebook Seeking $1 Billion in VC Funding for Crypto Project,�? “Apple has announced its newest Offering: Credit Card,�? “React Native 0.59 is Released with CLI Improvements, React Hooks & More,�? 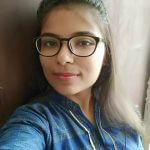 Bhupinder Kour is the Content Writer at Appinventiv Technologies who loves to pen down her understanding and knowledge in simplified and engaging manner. She is an early adopter, likes to stay up to date with the latest trends in the mobile industry and add value to the organization. Besides this, she is fond of reading books, writing short stories and finding answers on Quora.You can connect with her on LinkedIn to know her views on mobile technology. FinTech vs. TechFin: Where is the Global Finance Economy Headed? What is the Cost of Coursera like app development? To request a proposal, please fill the form below & we will get back to you within two business days. Or Visit Our Global Hotspots. © 2016-2017 AppInventiv Technologies. All Rights Reserved.